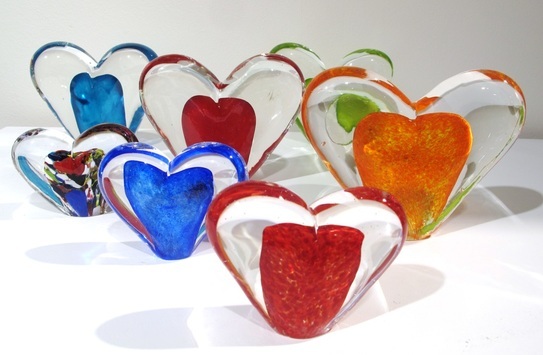 English born and educated, Tim has been a practising glass artist all his working life. He has recently taught in the UK, Turkey, South Africa and Swaziland. He has exhibited regularly over the past decade, both nationally and internationally, notably at Collect 2011 London, and SOFA Chicago. Tim has built many hot glass studios, his current one being nestled in the stringy bark forests of the Adelaide Hills. In our Artist Studio, nestled amongst the Stringybark forests of the Adelaide Hills, crystal glass derived from the purest ingredients is carefully smelted. The glass is refined over many hours in a special crucible placed within our purpose built furnace. The temperature and atmosphere of the furnace is carefully monitored and when the master glass blower (or Gaffer) has indicated that it is ready, work can commence. Along with his skilled assistants, the Gaffer begins to create the beautiful Glasshearts. Hewn from the fiery furnace, the molten glass is gathered from the crucible of fire. 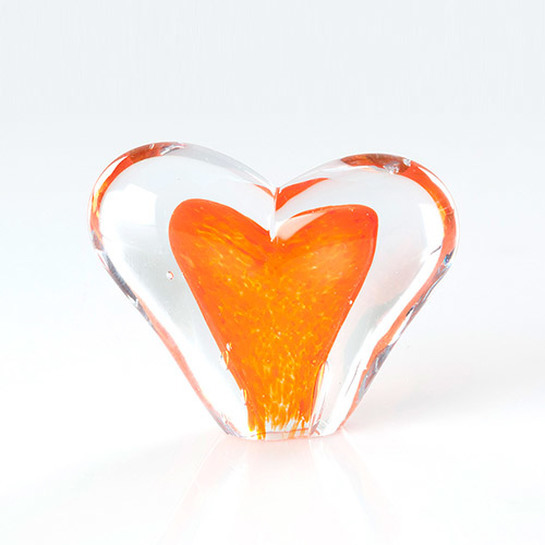 Lovingly rolled in the finest powdered coloured glass, the hearts are slowly shaped. They are then encased in crystal glass, reheated and sculpted into the final form. Once the Gaffer is happy with the final sculpted heart the tempering process begins. The Glasshearts are allowed to cool briefly to the annealing temperature, whereupon they are placed into a heated kiln or ‘Lher’ where they undergo the slow, controlled tempering and cooling process. Finally, after many hours, the Glasshearts reach room temperature and can be released from the kiln. They are then individually checked, cleaned, hand ground and are given their final polish… and we can finally Share the Love!